The California Department of Education (CDE) defines "service learning" as an instructional strategy in which community service opportunities are integrated into the curriculum, with the goal of enhancing the core curriculum and helping students meet academic standards and develop a sense of civic responsibility. "Community service" provides opportunities for students to volunteer for the benefit of the community, but is a separate course. The district shall present the Seal of Service to high school students who have demonstrated exceptional dedication to making a positive impact within their community and the world. 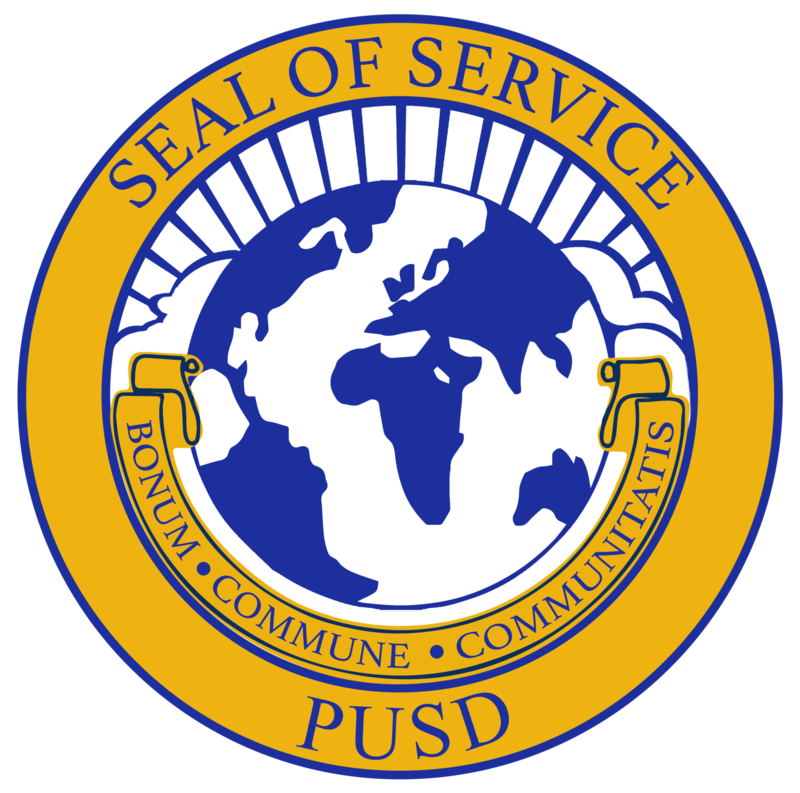 To be eligible for the “Seal of Service” on a student diploma and transcript, students must complete the following requirements prior to their last six weeks of graduating from PUSD.